Asked to sum up the 2016 short session of the N.C. General Assembly, Mark Jewell, president of the N.C. Association of Educators, takes very little time. “Disappointing,” he grouses, roughly three days after state lawmakers wrapped up the session amidst a late-night flurry of negotiations Friday that, strangely, produced little action. When they adjourned with at least two pivotal education bills still on the table and hopes for substantive changes to House Bill 2 this year all but gone, they wrapped a session that was just as contentious, if not nearly as decisive, as years past. Some of the school advocates who’ve been most critical of the legislature in recent years are somewhat relieved. Yet Jewell, who helms the state’s leading lobbying organization for roughly 70,000 educators, is nonplussed. “They are still short-changing public education in this state,” says Jewell. 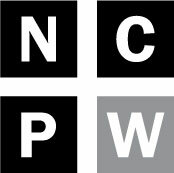 From teacher pay to charter funding to a bitterly controversial reform bill for North Carolina’s low-performing schools, the state legislature covered a wide range of education issues this year. Here is a quick round-up of what did and didn’t happen this year in the legislative building. 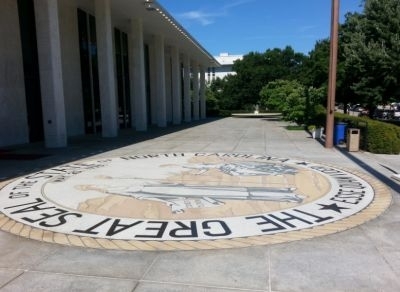 Quite clearly, the most widely panned bill approved in the N.C. General Assembly in the last year, survived the short session mostly unscathed. Lawmakers did agree to one change, reinstating the right to sue for employment discrimination in state court, but have retained the anti-LGBTQ bathroom provisions that have spurred lawsuits from transgender residents, the ACLU of N.C. and the U.S. Department of Justice, which Tuesday asked a federal judge to block the law’s implementation in the state. The outcome in the federal court case is of paramount importance to North Carolina schools, with many pointing out that the bathroom regulations could threaten billions in federal school funding if it’s found to have violated U.S. education law. Few things sparked quite as much debate among public education advocates and legislators this year as House Bill 1080, the so-called “achievement school district” bill led by Rep. Rob Bryan, R-Mecklenburg, that purportedly went through dozens of revisions in 2015 and 2016 before finally arriving on the legislature’s floor this spring, much to the consternation of some public school supporters. The state Senate-vetted version approved by the House last week and turned over to the governor will force five low-performing elementary schools, which have not been selected yet, into one statewide district. From there, state leaders will be able to turn over operations, including staffing powers, to for-profit charter operators, with the goal of transforming academics. Supporters—including most Republicans, a handful of Democrats, a wealthy Oregon businessman behind a national network of charters and an ALEC-affiliated, right-wing outfit—call it an “innovative” solution to the plight of chronically underperforming schools. “The bar is so low in these schools, anything that makes an impact that’s considered by this state has to be considered a good thing,” Sen. Chad Barefoot, R-Franklin, Wake, told Senate lawmakers last month. But critics have opined the widespread opposition and mixed results in similar reform efforts in states like Tennessee and Louisiana. “My colleagues across the country see achievement school districts as a failure,” Jewell told Policy Watch this week. Leanne Winner, director of government relations for the N.C. School Boards Association, which represents local boards at the legislature, called the bill “extremely concerning” this week. Still, Gov. Pat McCrory is expected to sign the bill in the coming days. Perhaps the biggest surprise in the session’s final days was the foundering of Senate Bill 867, a bipartisan-backed bill requiring fingerprint background checks for teacher licensure that, as Policy Watch reported, spurred concerns that the bill could dissuade acts of protest among educators. As the House was considering a handful of last-minute changes Friday night—including delaying the bill’s implementation, requiring annual state reports on background checks for the legislature and more—the state Senate had all but announced that it was adjourning. As a result, the legislation, directly prompted by a USA Today report in February that panned North Carolina’s patchwork of local fingerprint check policies, stalled. Winner said she believes public school advocates were close to agreement on this bill when the session adjourned. Expect the legislation to return early in 2017. For public school advocates, there was a lot to bemoan and a bit to celebrate about the state budget bill that cleared both chambers last week. Teacher pay topped the list, with legislators including an average 4.7 percent pay raise, focused on mid- and late-career teachers. Average teacher pay, including local supplements, will be lifted above $50,000, Republicans said. Public school supporters, though, are expressing some optimism about a third-grade teacher performance pilot program, which sets aside $10 million for bonuses to teachers with students showing growth in reading scores. Yet they’re furious over a sweeping expansion of the controversial private school voucher program, which diverts public funds to low-income students seeking to attend private, mostly religious schools sometimes disparaged for apparently discriminatory, anti-LGBTQ policies. The approved budget will ramp up the state’s investment in the program from $44.8 million in 2016-2017 to $144.8 million by 2027-2028. Notably, the spending plan also lowers restrictions for two fledgling virtual charter schools in North Carolina (which have been besieged by skyrocketing dropout rates in their first months) and bypasses long-sought changes to the way the state calculates school performance grades. The current grading system heavily favors student scores as opposed to growth, prompting criticism that schools with a challenging, low-income population are not being rewarded for student growth. Despite the criticism, Rep. Craig Horn, an influential budget writer from Union County who chairs the chamber’s education spending committee, defended the package’s education priorities, arguing that it places an emphasis on teacher training. This is a bipartisan-backed bill that passed last month despite withering criticism from some public school advocates and the nonpartisan National Association of Charter School Authorizers, which warned legislators that its revision would hamper the state’s ability to produce high-quality, accountable charters. The bill, which was signed into law by Gov. McCrory Wednesday, axes the State Board of Education’s ability to shutter low-performing charters if the school has met student growth goals or is making progress on a state-approved strategic improvement plan. The latter provision is especially problematic, according to some, who say the promise of a plan for improvement could help stave off closure for struggling charters. The legislation also strips the requirement that charters be reviewed every five years by the state, only requiring one review during the school’s 10-year charter. Another Senate-backed bill that, surprisingly, lost steam in the final days of the legislature, this House Bill would have required that high schools offer two math tracks, the traditional math classes of old and the integrated courses combining algebra, geometry and statistics implemented in recent years in North Carolina. Critics said the integrated course is the future of math, one backed by business leaders, but Sen. Jerry Tillman, R-Moore, Randolph, said the combined courses were problematic for some parents and students. Most expect this bill to return in early 2017 too. Of late, this is an annual battle in the legislature, one that centers on how local public school districts and charters divvy up state funding. Charter schools are demanding access to more pots of funding, including sales tax coffers and federal grants used to offset the costs of school food programs, despite the fact that many charters do not offer school food programs. Although the financial impact is somewhat clear, Sen. Tillman told stakeholders last year that he wanted to shift about $11 million usually reserved for public schools into charter holdings, but Tillman’s bill to do so collapsed in a House committee this year when many, including some prominent Republicans, said its provisions were not ready for the legislature’s floor. Local districts already have the power to negotiate leases for school facilities, but this bill, which earned a harsh rebuke from the Democrat-controlled Department of the State Treasurer, would have allowed poorer districts to reallocate school personnel funds for facility leasing. Treasurer Janet Cowell warned of potential conflicts of interest for the legislation’s biggest backer, a builder who stood to profit in facility-starved Robeson County, and swelling debt burdens for taxpayers in poor counties. The bill eventually stalled out. A narrow bill that some warned could set a new precedent for state intervention in the oft-contentious battles between local school boards and county leadership over funding, Senate Bill 881 imposes a one-year ban on school legal challenges to their funding portion in growing Union County. The Charlotte suburb, dominated by the Republican party, is often troubled by funding battles between schools and the county. The local bill passed both chambers and did not require approval from Gov. McCrory.